This month the nominees for the Turner Prize 2017 were announced, with two of the four shortlisted artists, Lubaina Himid and Hurvin Anderson, having studied at Wimbledon. The two leading black British artists, aged 62 and 52 respectively, are both eligible for the £25,000 Prize after the award abolished its ban on over-50s. They are joined on the shortlist by Andrea Buttner and Rosalind Nashashibi. 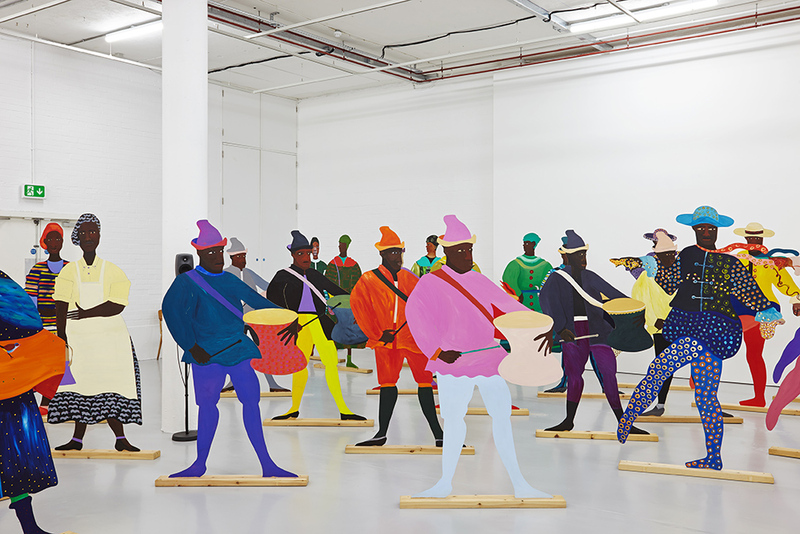 Himid, who studied Theatre Design at Wimbledon before going on to study for a Master’s degree in Cultural History from the Royal College of Art, was nominated for solo shows in Bristol and Oxford. The Bristol show Navigation Charts centred on larger-than-life cut-outs of 100 colourful figures – 17th Century African slave servants brought to Europe. Lubaina Himid’s exhibition Navigation Charts at Spike Island in Bristol. Anderson, who studied Painting at Wimbledon, was nominated for exhibitions in Nottingham and Ontario, Canada. The centrepiece of the Nottingham exhibition was a painting titled Is It Okay To Be Black? 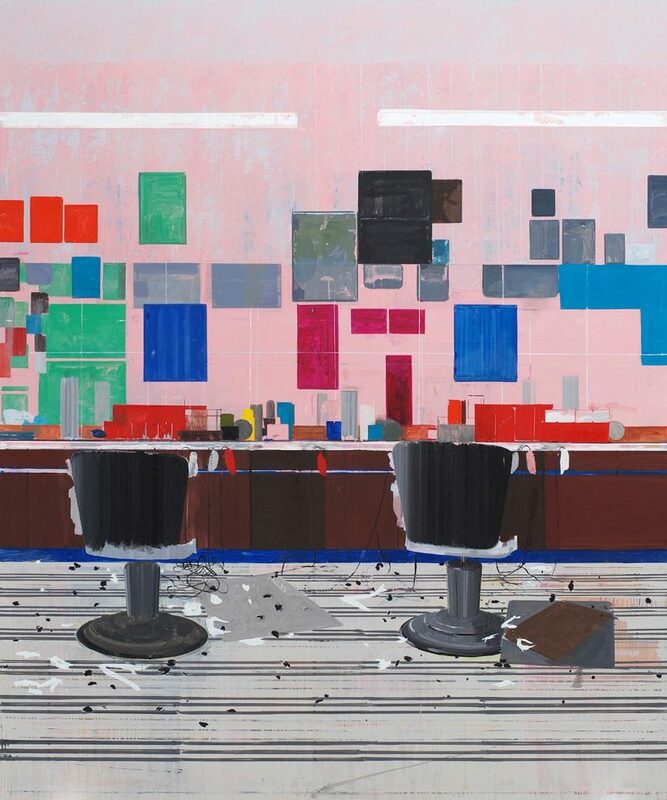 – a view of a barber shop which Anderson describes as ‘being caught between two places at once,’ because they are spaces where the UK and the Caribbean come together. Established in 1984, the Turner Prize is awarded to a British artist, for an outstanding exhibition or other presentation of their work within the last 12 months. Promoting debate around new developments in contemporary art, the Turner Prize was named after the innovative and controversial British artist, JMW Turner. The winner receives £25,000, and £5,000 each goes to the other shortlisted artists. Since its inception, UAL has has provided nearly half of all winners and nominees in the 33 years. The exhibition of work by this year’s shortlisted artists runs at the Ferens gallery in Hull from 26 September to 7 January. The winner will be announced on 5 December.